Hello there! 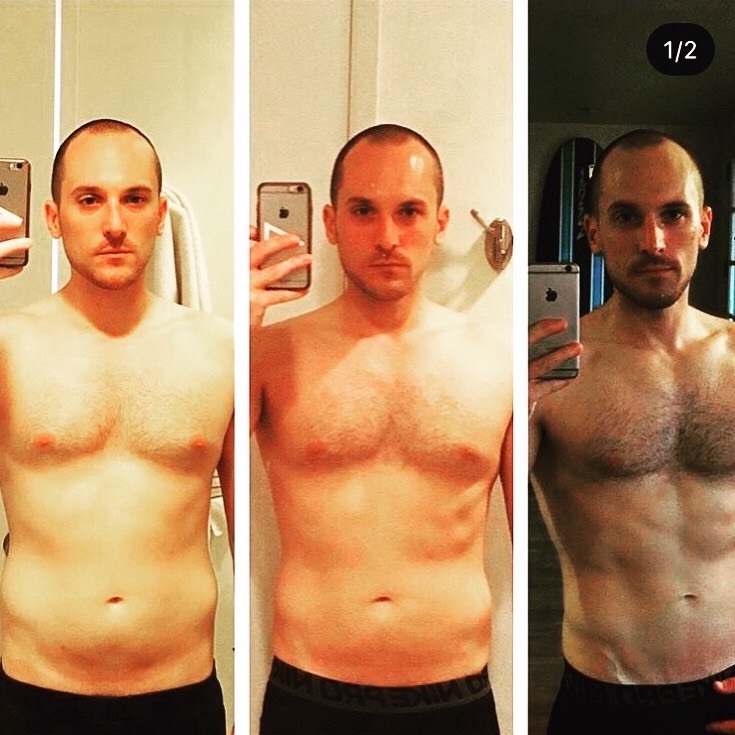 I’ve been helping clients with their physical health for 5+ years and I really enjoy helping people win back their physical health and physique! It feels amazing when you can look in the mirror and love what you see. I work with actors, models, and everyday people with regular 9-5 jobs who are trying to find a way to get a handle on their health. My main goal is to educate, inspire, and transfer some healthy belief systems that can change my client’s lives forever. My training style is casual but challenging for the first month, because I believe that the client has to get adjusted to working out regularly. After the first month, we set some real goals and really tighten up on the diet and workout consistency and intensity. I’m really big on getting constant feedback from the client to make sure they’re getting exactly what they need from me. Quinton helped me lose a significant amount of weight in the past 8 months. Along with weekly workouts that were efficient and fun, I was constantly being held accountable. Always being checked in on and monitored which helped me keel my focus and hit my goals. Awesome trainer! Highly recommended! 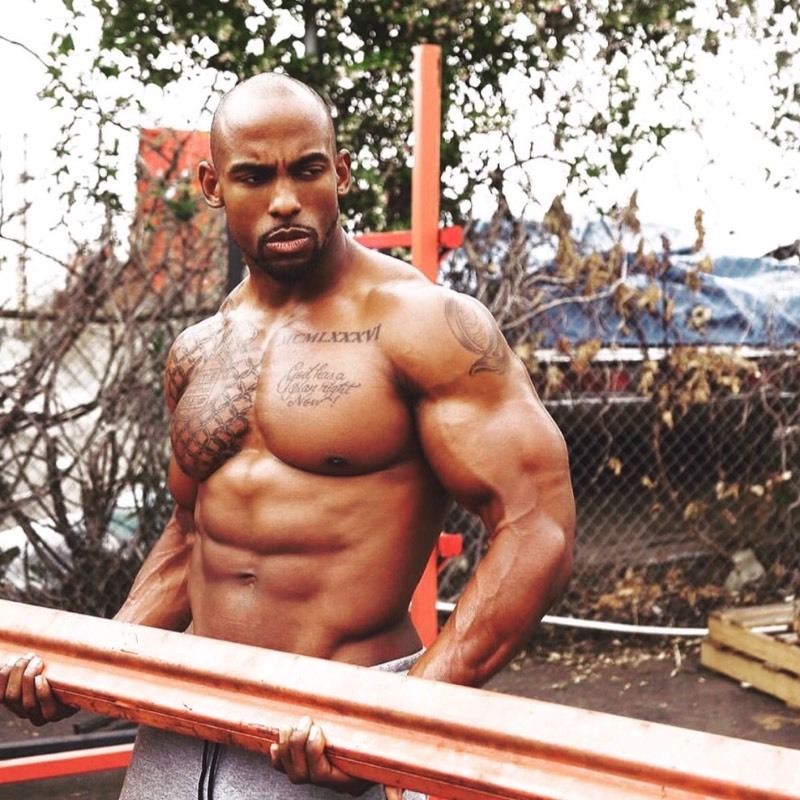 Quinton has a deep understanding of how fitness and nutrition work. He is an excellent trainer. He understands the different body types as well. He has helped me reach my fitness goals—which were to lean out and build muscle. I now have more confidence and look forward to reaching new fitness and nutrition goals. Quinton has been training me for a few months on this journey to reach my fitness goal. He has an amazing personality and full of energy (which is contagious and helps me get through my workouts.) I’ve been receiving so many compliments as my lbs and body fat percentage has been dropping, taking more pics, eating better and I’m wayyyy more athletic. Overall I feel so much better that I’m mentally and physically stronger since working with him! Quinton is awesome! I've never been challenged like I have been when I work out with him. He's helped me break through plateus and really listened to me when I told him where I wanted to improve. We addressed everything from my diet, stress levels and many others things that play a roll in getting the results I wanted to see. He really holds his clients accountable and follows up and gives friendly reminders. True personal touch many trainers overlook. He gave me perfect routines and instructions that got me results, and really saw the potential as to where I could take my body, even when I didn't. Quinton's an amazing guy, extremely motivating, completely professional and always positive. The best personal trainer I've ever had, and that means a lot her in LA. 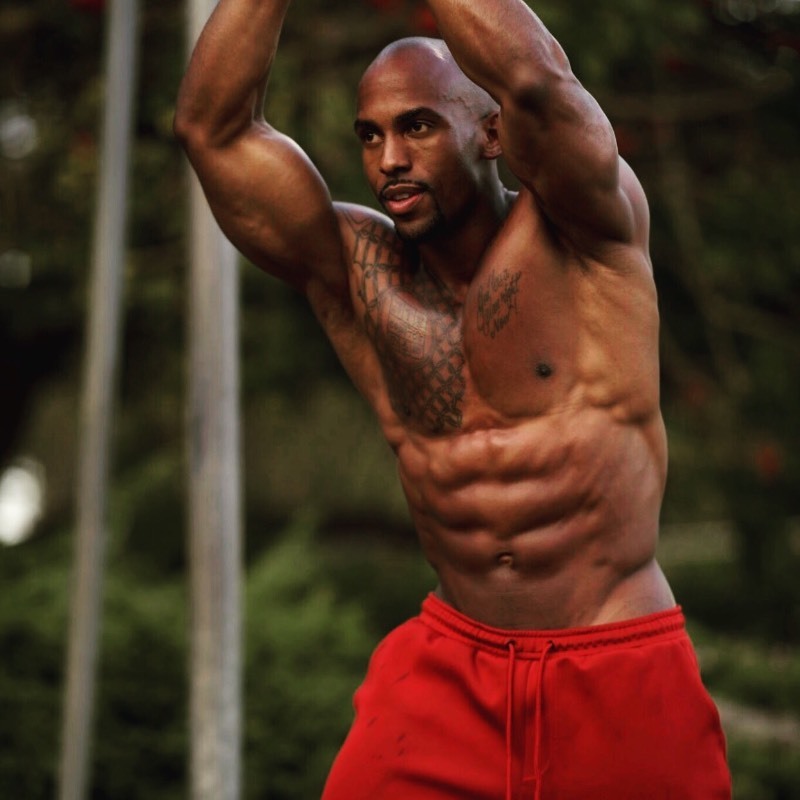 Quinton was very knowledgeable from not only a fitness perspective, but also nutrition. I would recommend him to anyone looking to take their physical fitness to the next level! Working with Q has been the best. He’s given me the best diet and workouts to slim down without losing my curves! He understands what a woman wants her body to look like and knows the exact way to achieve it. The meal plan has been simple to follow, even when I’m on the go, and he keeps me motivated to push through my workouts. Really happy I found this Trainer. I’ve been struggling with getting back in shape after multiple surgeries. Quinton has made accommodations to help me get back in shape in a very personalized way due to my schedule, injuries/pain and those limitations. He’s very positive and encouraging and always on time. He goes above and beyond to help me and I’ve noticed results within week 2! Looking forward to the weeks to come! Quinton is an inspiration and a very supportive trainer. He thinks about your mind, body and spirit and gives great advice & encouragement along with meal plans and custom workout plans. He’s an excellent and professional trainer. If you are looking for a trainer to customize a great work out for you and push you to where you want to be at a comfortable; yet challenging rate than Quntion is the perfect trainer. I have had several trainers in the past and for one reason or another things did not work out. When I first met Quinton to discuss what His program offers I was blown away. He took his time to understand my fitness journey and where I was today and where I wanted to be and then explain to me how his expertise would help me. Not only is he truly, truly a great trainer but he understands the process of reconditioning your body and the nutrition and overall health of your body as well. He took his time out to explain to me how I would be feeling over the next couple weeks of our training and what to expect and what I would see in return of the efforts that I put in. I am about 60 pounds over my comfortable weight and I am confident that I will get in the best shape I’ve ever been in with him. A typical session with Quinton is pretty much like this, you walk in and he’s all energetic and has such a positive attitude, that no matter what was going on your like yeah I got this. Then here comes some music, which gets you amped up. He will then start you with the warmup which is designed for you and then it’s time to put in work, it’s not gonna be easy but you will survive and feel better once you get it done. He’s so great at pushing you just far enough but never where you want to walk away, he is great at modifying workouts for any injuries or anything you can’t tackle yet and keeps the mood energized. I feel happy knowing I have a trainer who is great at what he does and very passionate about it. I truly appreciate how understanding he is when you need to change your schedule he’s very accommodating. My sessions are never rushed. On my off days of training with him he reaches out to see if I’ve done the off day cardio/routine and how I’m eating and how I’m feeling. Because of him I’m now eating salads and actually loving it, I really am transforming my mind. He’s really an amazing trainer and anyone would be fortunate to have him on your team. I plan on being a long time customer of his and I am fortunate to have such a knowledgeable trainer training me. I have recommended him to everyone I know who really wants to get healthy or in shape and needs a phenomenal trainer! Quinton is a really awesome trainer, he pushes me to accomplish things I wouldve never thought I would be able to do like lose 10 pounds before the summer. Q is an all around dope trainer! He coaches you beyond the physical, but motivating you mentally as well. Great guy, great energy, dope trainer!!!!! He really knows his stuff, no matter what your body goals are he can get you where you want to be! Great guy; he’s very knowledgeable of what I need and what I don’t need. Very quick results. I recommend to work with Quinton if your in MMA on your off days to get the full advantage of his training because it is beast and necessary. I’m definitely working with him again.